With over 90,000 miles of shoreline surrounding the U.S., and thousands of commercial boats operating off those shorelines and on inland waterways, commercial boat insurance is a virtual necessity to protect your investment in a commercial vessel. Commercial boat insurance is available to protect your watercraft and cover your liability if something goes wrong. What Influences the Cost of Commercial Boat Insurance? Value of the vessel. If new, the purchase price or market value will be used for the replacement value, but if used, the underwriter will typically order a survey by an experienced survey provider for information regarding the value and overall condition of the vessel. Type of vessel. The construction material and style of the vessel will be considered. For example, is it a V-hull, catamaran, sailing yacht, or fishing vessel? The six-month fast ferry experiment on Tampa Bay is going so well officials are exploring funding options to do it again — either on a seasonal or full-time basis. “There’s a demand for ferry service,” St. Petersburg, Fla., Mayor Rick Kriseman told the Pinellas County commissioners in late March. Total passenger count for the first four months of the $1.4 million project — November 2016 through February — was 22,596. More than 6,300 were commuters. Two thirds said they might not have taken the trip if the ferry weren’t available; one third said they used the ferry instead of their car to make a previously planned trip. St. Petersburg and Pinellas along with Hillsborough County and the city of Tampa each put up $350,000 for the service that runs between the two cities’ downtowns through April. There was a small but loyal commuter crowd and a lot of demand for recreational travel. HMS time chartered the Provincetown IV, a 98’x33’x7’ aluminum catamaran delivered by Gladding-Hearn Shipbuilding in 2013 to Bay State Cruise Co., Boston. The 149-passenger ferry that runs between Boston and Provincetown has a top speed of 32.5 knots. Initial ticket prices were $10 per one-way trip; the ferry recently cut that to $5 for weekdays. Operating expense per passenger mile was $1.35, according to data compiled by St. Petersburg. By comparison, Washington State Ferry’s is $2.12. Farebox recovery — revenue versus operating expenses — for the pilot is 35% compared to 20% for standard bus service. No government was guaranteed a return after expenses, but so far they’ve each received $13,650.50, city data show. The mayor, who would like service year-round, wants to find funding for buying, leasing or building ferries. They’re talking with federal and state officials and hope the pilot will provide data to support their pitch. The biggest challenge, he said, is getting the boats. “Available capacity on the market now is scarce,” Dronkert said. The Provincetown IV was the right size for the passenger count, but may be more boat than needed for area waters. As for the future, he said they were in “demonstration mode. We do not try to push a project one way or another.” But would they be interested in operating the service if it were offered again? “Of course,” he said. It’s been over 40 years since Apollo 11 touched down on the lunar surface. Many myths have sprung up about the Moon landing over time. I guess to be politically correct, One might even call them "alternate facts” these days. So let’s see if you can tell the truth from the alternate truth. Most Americans in the 1960s thought the Apollo program wasn't worth the cost. The highest approval that the Apollo program received was 53%, after Apollo 11 touched down on the Moon in 1969. Yet, as more time passes, more and more Americans view the Moon landing as "worth it." In 2009, on the landing's fortieth anniversary, CBS found that 71% of American thought that the trip to the Moon was worth the money spent on it. 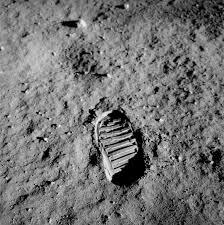 That's one small step for man, one giant leap for mankind," is one of the most recognized and cited quotes in human history. According to Neil Armstrong, he didn't formulate what he was going to say until after the lunar module, Eagle, landed on the surface of the Moon. He was too busy landing on the Moon to think of anything cute to utter once he got there. Allegedly, before leaving the Moon, astronaut Neil Armstrong uttered the phrase, "Good luck, Mr Gorsky." The story goes that this enigmatic phrase is said to be an inside joke, based on an occurrence during Armstrong's childhood. When Armstrong was a kid, he overheard an argument between his neighbors, Mr. and Mrs. Gorsky. The wife apparently promised the husband a sexual favor he requested, but only if the kid next door — meaning Armstrong — ever landed on the moon. Thus, Armstrong was wishing Mr. Gorsky luck that his wife would go through with the bet. It's an entertainingly ribald yarn, but the fact is that Armstrong never said this. NASA choose Neil Armstrong, and not his fellow astronaut Buzz Aldrin, to be the first human on the Moon? Some speculated at the time that NASA chose Armstrong because he was a civilian. Armstrong had flown missions during the Korean War but, unlike Buzz Aldrin, he was no longer active-duty. The idea behind this theory was that a civilian stepping out on the Moon would show the world that America's space program was not a mere military endeavor, but rather something for all mankind. In reality, NASA chose Armstrong for other, more boring reasons. For one, Armstrong held seniority as an astronaut and was Apollo 11's mission commander. Old leader gets the glory. Second, the lunar module simply opened in such a way that the commander — Armstrong — had to get out first before the pilot — Adrin — could follow. The Moon doesn't have an atmosphere that could facilitate wind. So why does the American flag appear to wave in the breeze in the videos of the Apollo 11 astronauts planting it? There are a couple reasons for this, and none of them are "they filmed it in a studio. "For one, NASA actually promoted this illusion when it designed the flagpole. They made the flag extra-stuff so it would stay up horizontally. After all, why plant Old Glory on the Moon if it unimpressively rest limply on the pole? Also, some of the "waving" was caused by the inertia of the astronauts moving it into place. A 2013 by the firm Public Policy Polling found that 7% of Americans think that the moon landing was faked. This is a small number, but it's still 7% too high. One piece of "evidence" that hoax proponents often use to back up their claims is that that there are no stars in any of the Apollo 11 photographs. NASA must have filmed the lunar landing elsewhere then, right? Perhaps on a soundstage in Burbank, California? In reality, there are no visible stars because of the camera's fast exposure settings. The stars simply don't give off enough light compared to closer objects for the camera to pick them up. Ran across an article in the Boating Times. Some great advice on not getting ripped off this boating season. Ever had anything stolen from your boat? This article is for you. Never had anything stolen from your boat? This article is for you. The secret to good marine security is to think like a crook and then do the opposite. The light-fingered set is opportunistic, and any scenario is nearly perfect for grabbing the goods and disappearing within a minute or two. So, make it tough for burglars to operate. The easiest items to steal are electronics and gear in open view that is small enough to be quickly stashed in a tote bag. If you own an open runabout, make it your habit to remove all valuables every night. If you have a cabin, don’t leave anything in view — draw your curtains over windows and portholes and stash the small but expensive stuff out of sight in drawers and lockers. Whether you remove portable equipment or not, take the time to engrave your name, home port, driver’s license number, state registration number, and hull pin on your VHF radio, GPS handheld, chart plotter, binoculars, and other valuables. Batten down the hatches before you leave the boat. Fasten companionways with strong locks attached to hasps. Cockpit lockers should also be secured, particularly if they contain items like batteries and expensive life jackets. A burglar will pass your boat by for an easier mark if he has to spend time breaking or picking a lock. Many captains hide an extra set of keys onboard. Don’t. Lawbreakers know all the hiding places. Ideally, keep your boat in a well-lit, secured anchorage with locked doors to docks, cameras, and personnel on site 24/7. If security and cameras aren’t present, or you’re out on a mooring, install an alarm — even the simplest of set-ups will scare most crooks away (provided there are people about who’ll hear the alarm). Every boater should be observant of strangers seemingly lurking around their home marina or boatyard, particularly those in non-nautical dress (street shoes are often a giveaway). Let a dockhand or the yard manager know if you suspect someone’s potentially up to no good. If you’re selling your boat, don’t hang a For Sale sign on it. It affords nefarious characters the cover to snoop and return when no one’s about. What do you do if you have been hit anyway? Report the burglary to the police immediately. Savvy officers in marine units may know where to look for sales of stolen goods, especially if you provide them with a list of all equipment by make, model, and serial number. Let them know all about the engraving on the stolen items as that will help to prove any recovered goods are yours. I’ve been talking about boat burglaries, but entire boats and other watercraft disappear. The most likely vessels to be nicked are boats under 26 feet in length and jet skis. Owners must be diligent in immobilizing their crafts. Again, assess your setup like a thief would and then do all you can to make removal difficult or impossible. Want a novel way to decrease the likelihood of a dinghy or inflatable being stolen? A veteran Caribbean sailor I know advises boaters to paint these items a weird color — a pink dink will make a crook rethink! This is a little disconcerting. What do you think? In November, The Bahamian government announced it is considering a joint venture that would grant Chinese commercial fishing vessels licenses to fish Bahamian waters. A public firestorm erupted when this proposal first became known shortly after the passage of Hurricane Matthew in early October. Since then, the government has vigorously backpedaled and downplayed the deal. Initially he called the news reports “utterly false” and then said he had authorized a discussion, but there was nothing before the cabinet for approval. However, in November he suggested the proposal was still on the table and hoped the Chinese would not be deterred by widespread public criticism. The proposal seems to indicate that rights would be considered to catch migratory fish in Bahamian waters (species were not specified). Although these are not traditionally exploited by Bahamians, they are an important resource for tourism. The Chinese fishing proposal is being discussed in China despite this underestimated long-term pressure on Bahamian marine resources. The Bahamas National Trust has said in a public statement on this proposal (November 5, 2016) that local fisheries were already under pressure, and noted that Chinese fishing fleets threaten the sustainability of global fisheries. The BNT said scientific assessments of pelagic fish stocks would be required before any informed discussion about a possible expansion of the fishery sector can take place. Marine biologists at the University of the Bahamas said inadequate legislation and lack of enforcement made it “hard to imagine” that commercial fishing on such a scale would abide by any prudent catch limits. Lisa Benjamin and Dr. Adelle Thomas of the university’s Climate Change Initiative said The Bahamas could join the “long list of failed fisheries sectors” in the Caribbean “well within a ten-year period." The opposition Free National Movement has condemned what it calls a ”secret deal” to give fishing rights and public land to the Chinese and has demanded that Minister Gray step down for his lack of transparency. Prime Minister Perry Christie has so far avoided speaking directly to the proposal. Tourist demand for local fish (through recreational fishing and hotel restaurants) from 1950 through 2010 accounted for 75% of reconstructed total catches. Almost two-thirds of this demand was driven by recreational fishing by stopover visitors, and the remainder was a result of seafood consumption by both stopover and cruise visitors. I read this article by Brandon Steiner and found it made me reflect. The most important thing is to find out what's important, and who's important, and you have to pay attention to them everyday. I came across the below from a good friend of mine, Peter Shankman. It should tell you a little something about the people you have around you. Plumb thought of the man hours the sailor had spent on a long wooden table in the bowels of the ship, carefully weaving the shrouds and folding the silks of each canopy, holding in his hands each time the fate of someone he didn’t know. Now, Plumb asks his audience, “Who’s packing your parachute?” Everyone has someone who provides what they need to make it through the day. 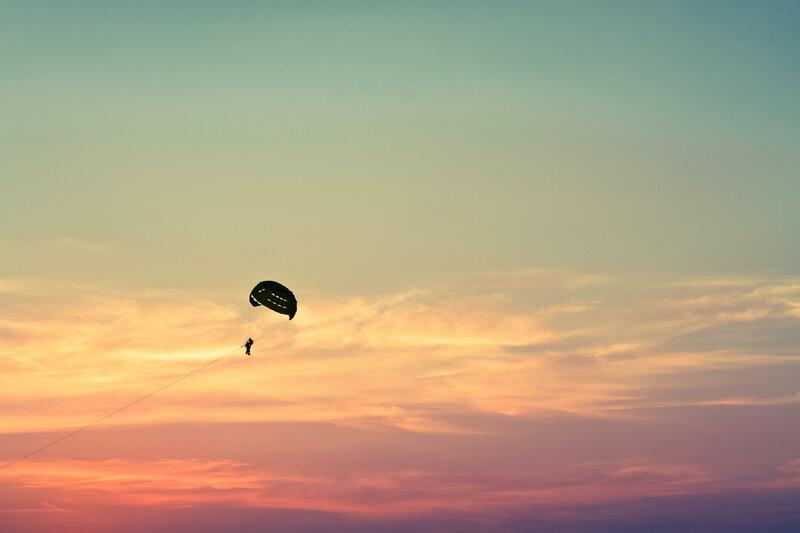 Plumb also points out that he needed many kinds of parachutes when his plane was shot down over enemy territory – he needed his physical parachute, his mental parachute, his emotional parachute, and his spiritual parachute. He called on all theses supports before reaching safety. Everyone should have insurance to help them through those unexpected things that come up. But insurance doesn't replace good old fashioned preparation. Here's some information based on an article in BoatUS about getting ready this spring. Overlooking small things during spring commissioning can translate to big problems. It's spring — when all our plans for the boating season ahead are positive and hopeful. This is an important time; statistics show over and over that it's the little things missed during spring commissioning that can lead to serious problems that will not only lighten your wallet but also rob your family of precious time on the water. Springtime is the right time to check each of your composite (plastic) thru-hulls for cracks and deterioration. Degradation due to ultraviolet light is the main culprit; however, stress caused by an unsupported hose bouncing around inside also can be a factor. Failure typically begins as a crack where the body of the thru-hull fitting joins the outer flange, often progressing until the flange simply falls off. Once that occurs, there's nothing left to keep the thru-hull in place, meaning that it will eventually be pulled inboard, leaving a gaping hole. The thru-hull shown here was located near the waterline; the resulting hole reduced the vessel's effective freeboard from feet to inches.